It can be extremely annoying when you encounter a common file format like MOV and end up in "fail to open" situation in QuickTime. If you are a QuickTime user trying to open MOV files here, we'll provide you some solutions to QuickTime not playing/recognizing MOV problem. Why QuickTime Won't Play An MOV File? If QuickTime fails to play your MOV file, then it is possible that your application is obsolete and no longer supported. The media player may not be able to read the digital video because the technology that was used to encode it was recently developed. When in that condition, make sure to update your QuickTime player to the newest version. If your MOV file fails to load in other media players besides QuickTime (e.g. iTunes, VLC, GOM Player, Zoom Player), then the asset is probably corrupt. Since the digital video was not properly encoded in the first place, it cannot be read by QuickTime ( or any other supported application) even it is a compatible format. A file extension reveals what type of data is contained in a file, it also indicates which type of software should open the file. But since file extensions can be easily edited, they may not always be accurately assigned to files. As a result, your MOV file may not load in QuickTime because it has been misidentified as a digital video that is compatible with the application. But free tools like MediaInfo and FileAlyzer can analyze a problematic file's properties and confirm if it is using the right file extension. Some free tools like MediaInfo and FileAlyzer can analyze a problematic file's properties and confirm if it is using the right file extension. Digital videos like MOV files are all products of compression. During compression, multiple streams of audio and video tracks are written with a special algorithm called a codec. If your MOV file fails to load in QuickTime, then it is possible that your system is not equipped to read the digital video's codecs. 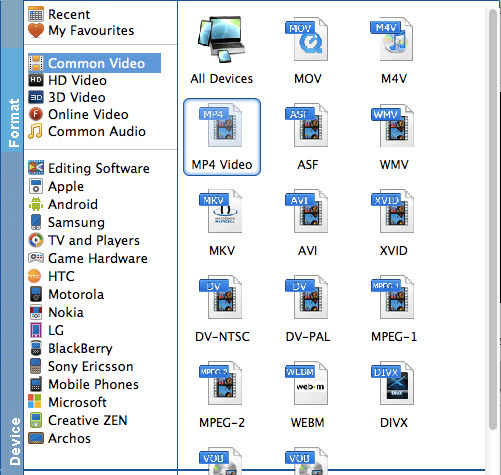 In fact, only MOV file encoded with MPEG-4 or H.264 video and AAC audio is supported by QuickTime. If your MOV files are encoded with other video or audio codecs, QuickTime will refuse to play them. If QuickTime player MOV files playing back issue is caused due to unsupported codec issue, you can either use QuickTime's open architecture, third-party developers to create components or plug-in to QuickTime. 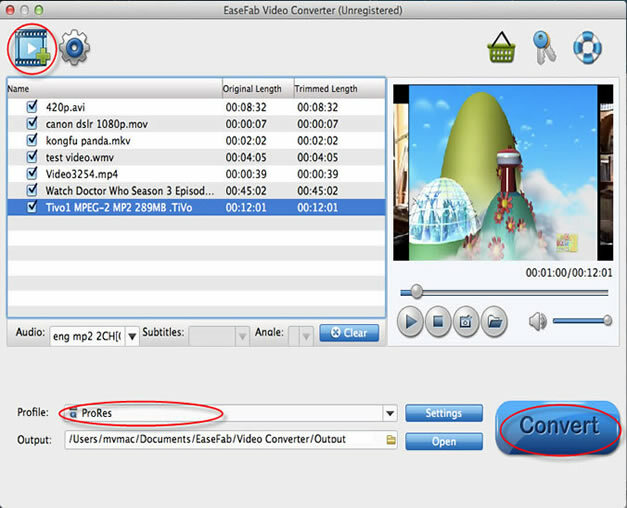 If you are looking for a simple way to fix this issue, you can download a third-party video conversion application such as EaseFab Video Converter for Mac to encode/re-encode MOV to QuickTime player compatible H.264 mov format. Besides converting MOV to QuickTime, the program also helps converting MOV files to iTunes supported file formats for syncing to iPhone 5SE, iPad Pro 2, iPad Mini 4, Apple TV 4, etc. For Windows users, you can get the job easily completed by downloading EaseFab Video Converter for Windows. Now just download the right version according your computer OS and follow the tutorial below to start the conversion. Drag the video files you want to convert to the video files list (Mac Video Converter supports batch conversion, so you can import multiple files at a time). You can also click the "Add Video" button to browse your Mac hard drive and add the MOV video files you want to convert to the program.